I visited Rwanda in 2013 to partner with teachers and students at the SOS Children’s Village primary and tech schools in Kigali. I’m again staying at SOS, and it has been priceless to see my colleagues and friends again. Professionally, I am continuing to follow-up on Save the Mothers work, though I agreed to complete a few communications projects for Kigali’s SOS Children’s Village over the course of my short, one-week stay. One such project has been reporting on the outcomes of a community development project at SOS which trains family providers in income generative activities, while also providing micro-loans to start small businesses. The best part is that while I thought this week’s work would be outside of maternal heath, many themes are still present. While these stories do not pertain directly to pregnancy, they highlight the need to support mothers beyond birth to create happy and healthy children and families. So, my yesterday was spent visiting shops and homes and families to hear how this project has influenced lives here in Kigali. 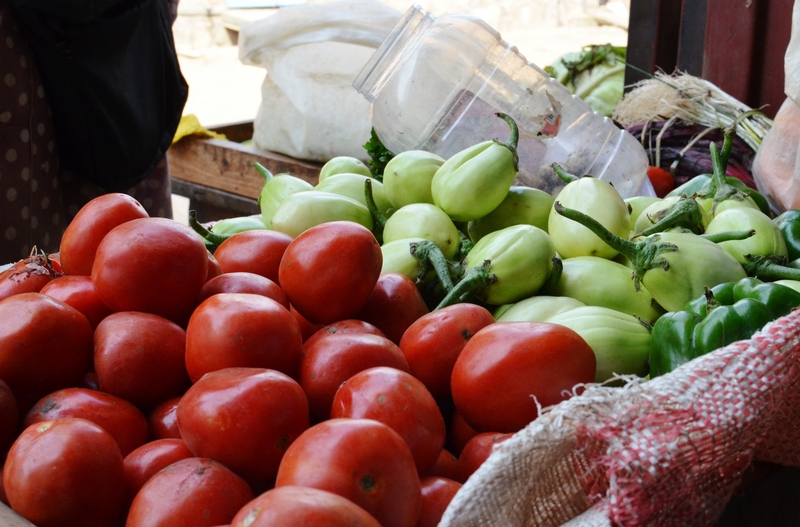 Several years ago, one might have found Alphonsine Mujawamaliya selling vegetables on the street – an uncertain income for her and her four children living in the Kcyiru Sector of Kigali. But today, Alphonsine sits proudly outside of her shop selling vegetables. She now earns enough money to comfortably pay for school fees, medical insurance and other necessities of daily living. Alphonsine is one of many women who have overcome difficult social and financial situations with the help of BMZ Project Kigali, part of Rwanda’s SOS Children’s Villages Family Strengthening Program. However, the road was long. 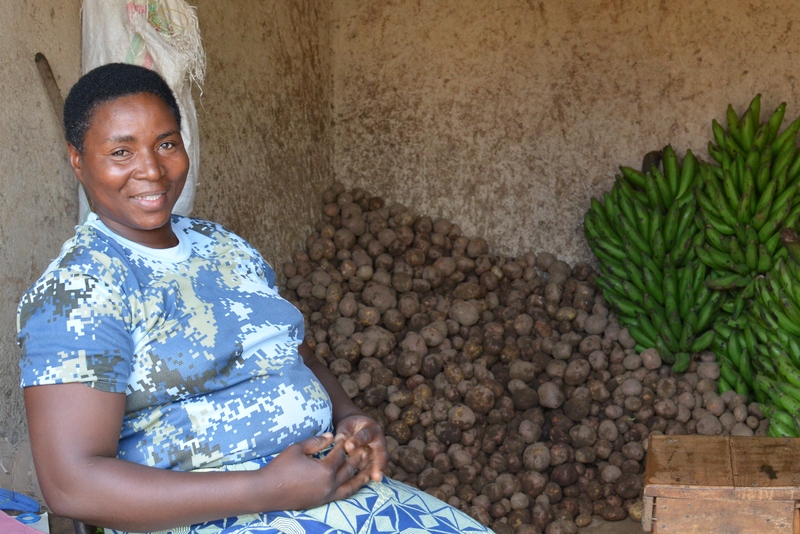 After her husband became sick, Alphonsine found herself as the sole family provider. Alphonsine entered the BMZ Project Kigali in 2012 where she received training in income generative activities, as well as two microloans to help her get a business off the ground. “By the project support, I managed to run a business and pay for everything for my family,” she said. Her four children, between the ages of 13 and 23, have all either completed or are in the process of completing their studies. 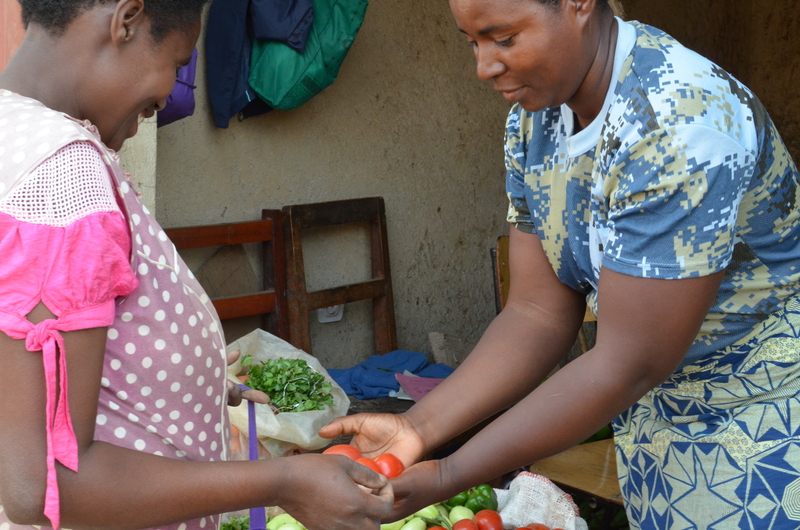 Alphonsine, on the other hand, is in the process of paying her second BMZ Project loan, and does so through the sales of her vegetables – tomatoes, ibitoke, potatoes, carrots, onions, peppers, lettuce – which she receives from a supplier three times weekly. Her vegetable business now meets all government regulations. And while providing for all her loan payments and various expenses, Alphonsine still finds a few thousand francs to save every day for the security of her family’s future.